Sorting with Syncfusion Dashboard Designer. You can customize the sorting behavior of dimension and measure fields in each widget. 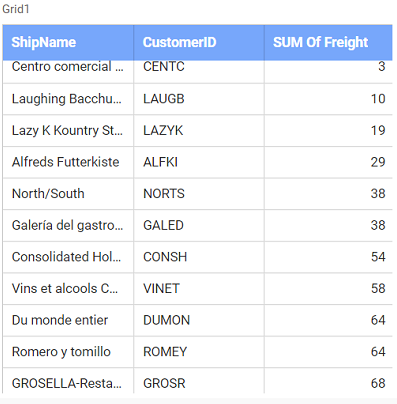 You can order them based on alphabet or value, data source (default), or field. 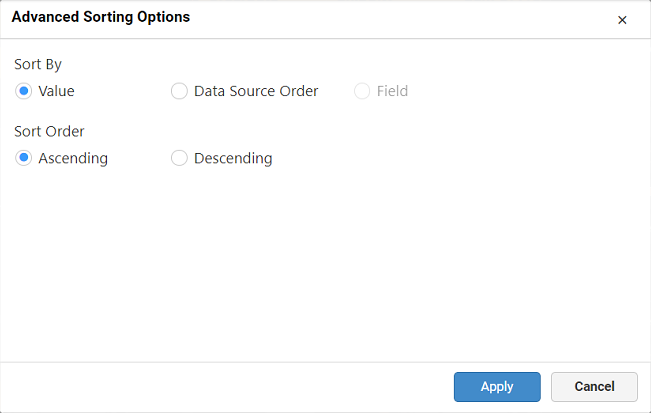 To customize the sorting behavior of measure field, drag and drop the Measure Field into the control designer. Click the Settings icon available in the Y Values section and select Sort option from the context menu. The Advanced Sorting Options dialog will open as shown in the following image. Ascending: Displays the sorted results in the ascending order. Descending: Displays the sorted results in the descending order. 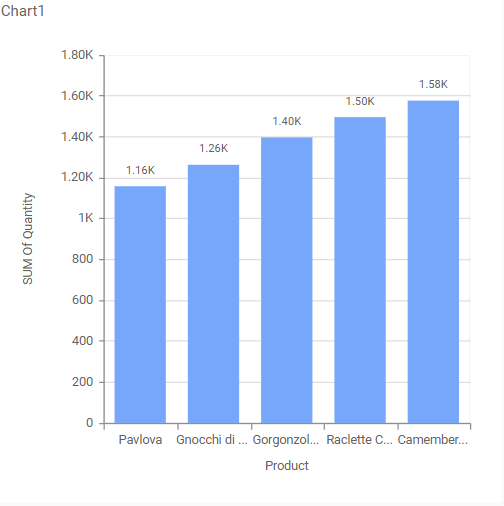 Value: Orders the data in either ascending or descending order based on values. 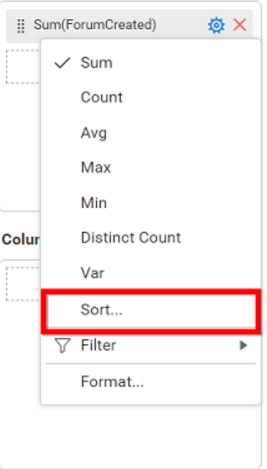 You can apply this sorting for more than one number of fields. Here, the data has been ordered in hierarchical pattern as follows. Data source: Places resultant data from the data source on query execution, i.e., without performing any additional operations such as ascending or descending as follows. To customize the sorting behavior of diemnsion field, drag and drop the Dimension Field into the control designer. Click the Settings icon available in the Columns or Rows or Series section, and select Sort from the context menu. Alphabetic: Orders the data either in ascending or descending order based on initial alphabet. You can apply this sorting for more than one string field. Here, the data has been ordered in hierarchical pattern as follows. 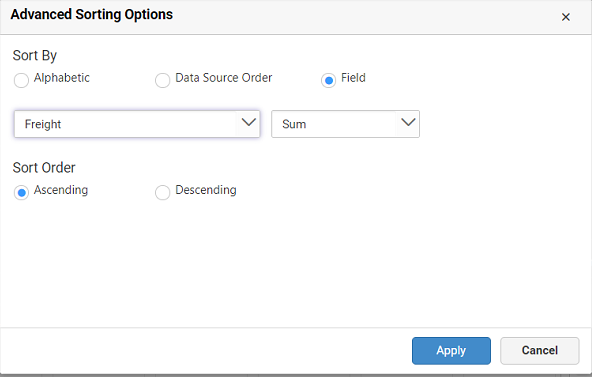 Field: Orders the data based on the associated values of another measure or dimension field. 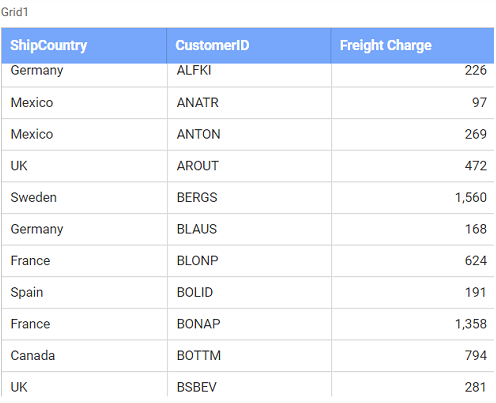 For example, you can order several countries based on their freight values. 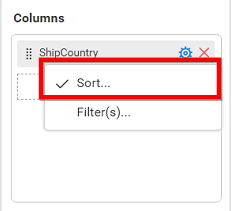 For example, the sort dialog box shown below is configured to sort the “Ship Country” field based on sum of the “Freight” measure in the descending order. 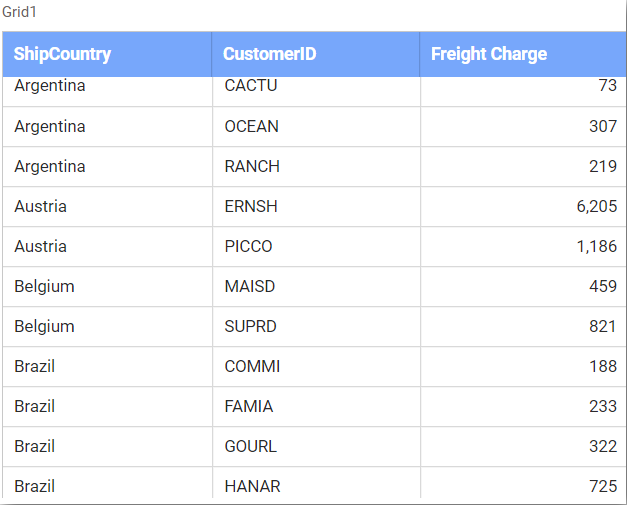 The results will be displayed in such a way that the “Ship Country” with lowest “Freight” value is displayed first and the “Ship Country” with the second lowest “Freight” value is displayed second, and so on. Advanced sorting is not available for “date” type, “date time” type, raw data, and proportional charts such as pie, doughnut, pyramid, and funnel.